Nestled among the busy Gouger Street next to the Adelaide Central Markets, Pepper Lunch restaurant incorporates Japanese style cooking into a modern DIY teppan restaurant. 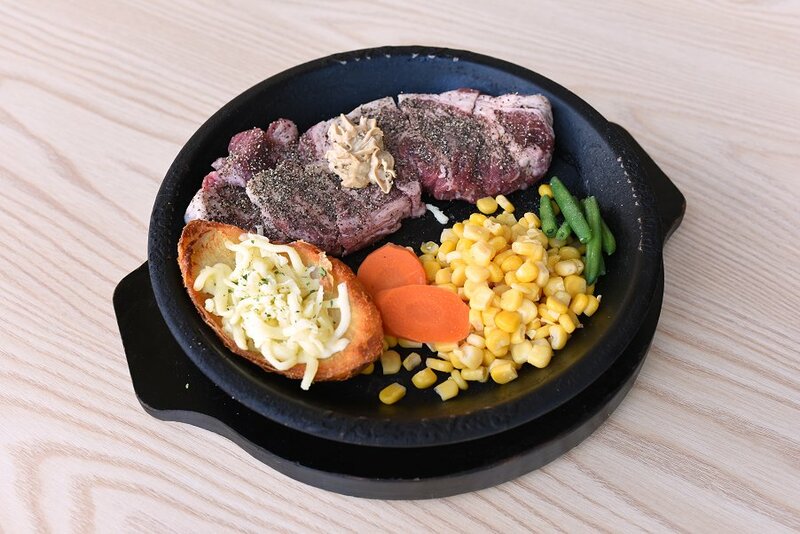 The concept of Pepper Lunch is that pepper is used as their main seasoning ingredient and their dishes being served at lunch prices all day. 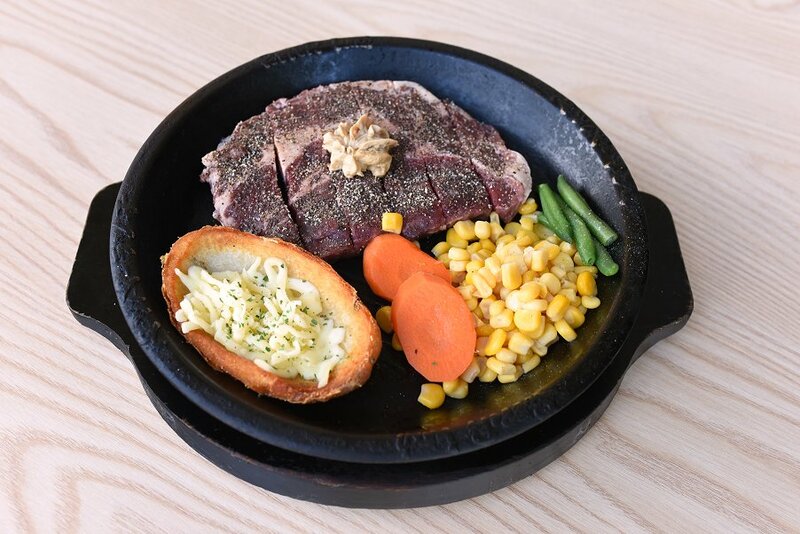 The cooking method is a little less traditional than your “normal” restaurants, as the dishes are brought out on a smoking iron hot plate for you too cook yourself. The meat dishes are the highlights of the menu as you have an option to choose between 4 cuts of meat. 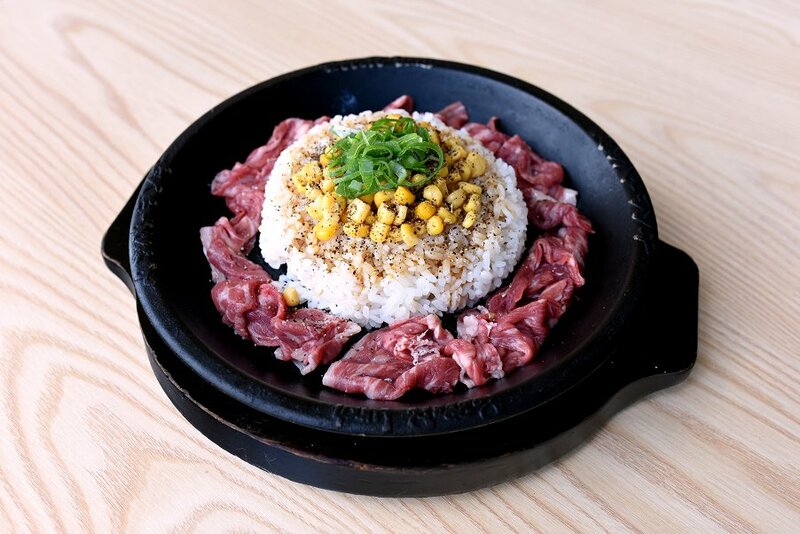 The Wagyu Beef Classic Pepper Rice was made up of thin beef slices surrounding a mound of steamed rice that was topped off with corn kernels. All the ingredients were mixed together on the hot plate and cooked to your own liking. The flavours were peppery and I loved the crusty bits of rice that stuck to the bottom of the hot plate. The Wild Wagyu Steak was a marbled piece of meat that was very gamey. It was accompanied a half baked potato with cheese that was very delicious. The soft, fluffy potato matched perfectly with the gooey pieces of cheese. The carrot, corn kernels and string beans were also of a good quality and added slight crunchy textures to the dish. The Angus Rib Eye Steak was less gamier than the Wild Wagyu Steak. Like the previous steak, it was nicely marbled but less gamier. Once again, we were treated to the same side elements that were on the previous dish. Last but not least was the Angus Porterhouse Steak. A leaner cut of meat than the previous counterparts. Great if your health conscious, but not great if you’re looking for taste. After all, it is the higher fat content that makes steak taste great. Like all the dishes, the meat was nice and peppery. For each dish I would recommend adding the sauces they have available on the tables if you want to give it a bit more of an Asian flavour, but regardless plain or with the added sauce it was highly satisfying. One other tip regarding cooking, on each table you’re also given a “how to” guideline, which outlines the best way to cook your dish, alternatively they also have a TV screen that demonstrates the best cooking method (I suggest to follow it!). The option to put it in a meal with sides such as rice, chips, miso soup or a shake salad, make it that much better. However if you’re looking to try some delicious “premium sides” the onion rings and sweet potato chips cant be missed. 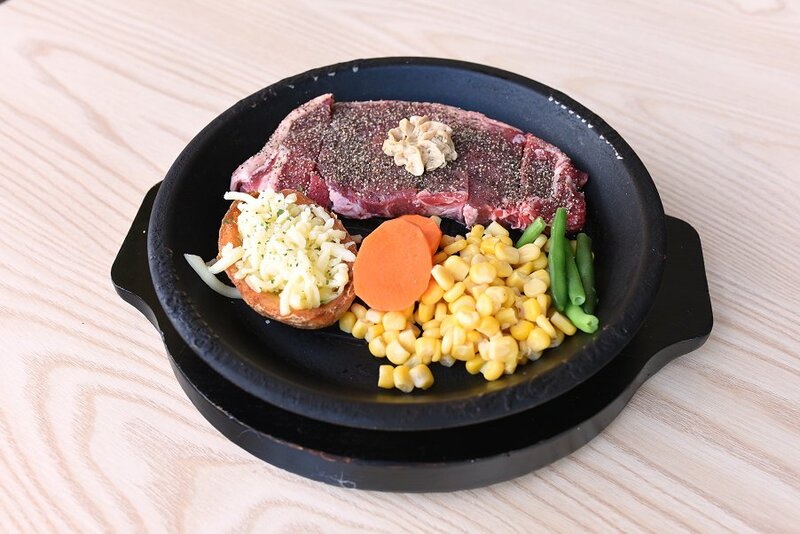 Overall the experience at Pepper Lunch was fantastic, it’s something different and it adds an element of excitement as you get too cook your meat to your taste. With the fantastic opening hours (11am-11.30pm, Sunday-Thursday and 11am-12am, Friday and Saturday), this place is perfect for lunch or dinner and won’t disappoint if you’re looking for something a bit different for date night, a catch up with friends, or even on your lunch break for work.